Classes held on Saturday, 30 June 2018 are our final classes before the holidays. We have entered the winter season in Australia while Poland is enjoying warm summer. Following the example of many families, holiday trips to Poland and family gatherings have already become almost an annual event. I wish all students and parents a wonderful holiday break and a happy return to school. HOMEWORK FOR HOLIDAYS – please take an interesting photo during holidays and prepare to present it to your class in 3rd semester. W sobotę 30 czerwca 2018 odbędą się ostanie lekcje przed wakacjami. Wkroczyliśmy w zimowy sezon w Australii, a w Polsce coraz cieplej. Za przykładem wielu rodzin wyjazdy na wakacje do Polski i rodzinne spotkania stały się już prawie corocznym wydarzeniem. Wszystkim wyjeżdżającym rodzinom życzę wspaniałych wakacji i szczęśliwego powrotu do Sydney i szkoły. ZADANIE DOMOWE NA WAKACJE – proszę zrobiċ ciekawe zdjęcie ze swoich wakacji. Zdjęcie zaprezentują uczniowie w 3 semestrze. On Saturday 12 May we will have Mother's Day Picnic - day of fun and surprises for all parents and children. It is a lovely playground, inclusive for different abilities and with different, exciting and fun equipment. Please bring with you a plate of some goodies to share. Looking forward to to seeing you all on Saturday. There will be no School classes on 14 April. The Polish School will commence on Saturday, 5 May. Saturday, 12 May - Mother’s Day School Picnic - more information to follow. Just a kindly reminder for those who would like to help to participate in our school fundraising at Sydney Morning Half Marathon on Sunday, 20 May - please put your name on the list. If you would like to do a presentation with your brothers or sisters please do so. You will recite the poem in the class after the holiday. The students will choose the presentations which will be performed on a very special day - details to be advised. All children will receive a diploma of participation. When your kids memorize poetry, they are also learning vocabulary, spelling, reading skills and grammar. Your kids are fantastic and they can learn more than you anticipate. Have a fantastic holiday break! I wish You and your Family a fun filled Easter! We have a few weeks of school behind us. We face new challenges and expectations and, as always, strive to achieve the best results in teaching Polish. We all feel responsible for the school's activity and the atmosphere we create. I encourage you to cooperate more and join the school events. On Saturday, March 17 Parents' meetings with teachers will be held in individual classes. The meeting aims to discuss a program specially prepared for students in a given class. with a teacher of the class your children attend. Za nami już parę tygodni szkoły. 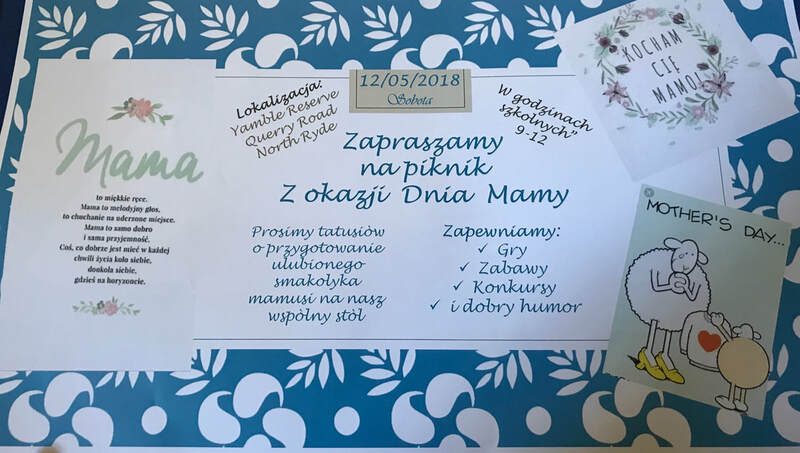 Przed nami nowe wyzwania i oczekiwania i jak zawsze dążenie do osiągania jak najlepszych rezultatόw w nauczaniu jezyka polskiego. Wszyscy czujemy się odpowiedzialni za działaność szkoły i atmosferę jaką sami tworzymy. Zachęcam do większej współpracy i włączenia się do organizacji szkolnych wydarzeń. W sobotę, 17 marca odbędą się zebrania Rodzicόw z Nauczycielami w poszczegόlnych klasach. Spotkanie ma na celu omόwienie programu specjalnie przygotowanego dla uczniόw w danej klasie. Nie musze podkreślaċ, o ważności tego spotkania i liczę, że wszyscy wezmą udział w zebraniu z nauczycielką klasy, w ktόrych są Państwa dzieci. 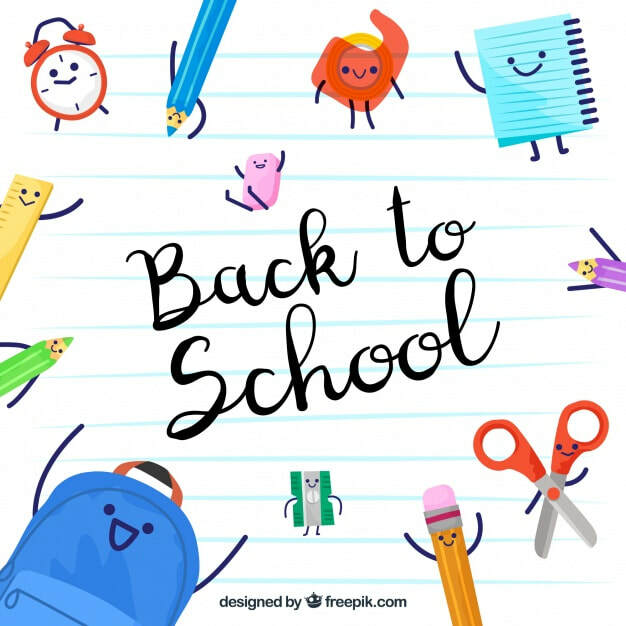 I would like to welcome you to the new school year 2018, especially to new parents and students. who have been associated with the school for many years and welcome the new ones. Please refer to the calendar and information provided via email during the year. We request that parents do not provide children with nut based foods. As we still have warm weather, please provide your child with a hat and a drink. We ask that all parents and carers be good role models when in and around our school grounds. Drivers should be aware of school children movements when driving in and out of car parks. On 20 May the Sydney Morning Herald Half Marathon will be held and allows fund raising to support our school budget. More details will be provided later. I am still waiting for enrolment forms. PLEASE bring to school ASAP.